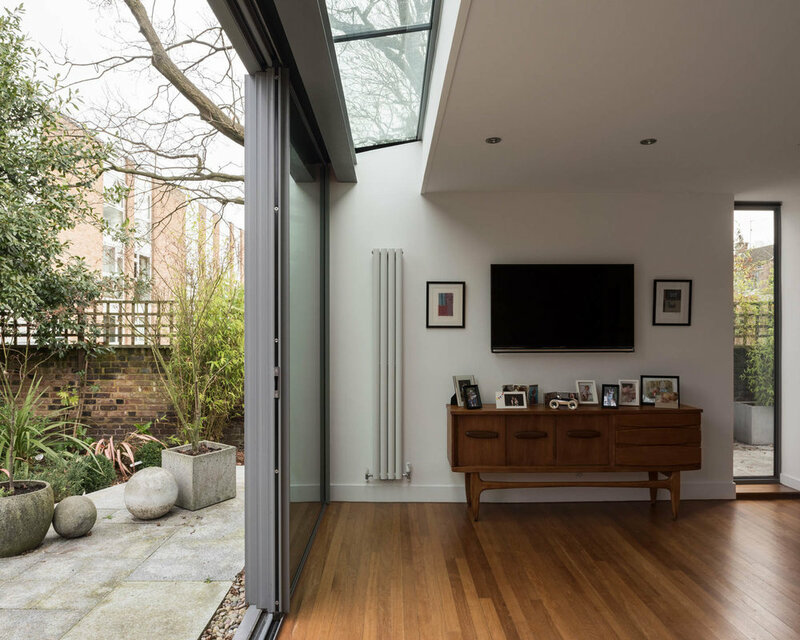 A single storey extension to a modernist 1950s’ bungalow in Blackheath, designed as a pair. 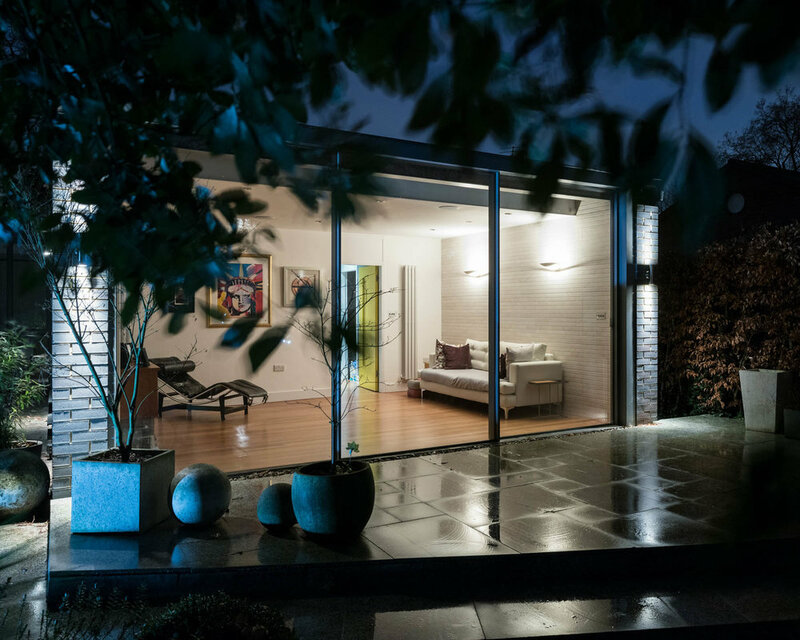 The existing house is bounded by a brick built garden wall, located on a private drive a short distance from Greenwich Park. A strong emphasis on the horizontality, the house is traditionally built, with predominantly brick and glazing as facing material under an expansive flat roof with a single inner courtyard providing natural light into the inner rooms. Access into the house is off the private drive via an open aired courtyard. The brief called for an additional bedroom, ensuite and a family space to the rear opening up the house to the garden. 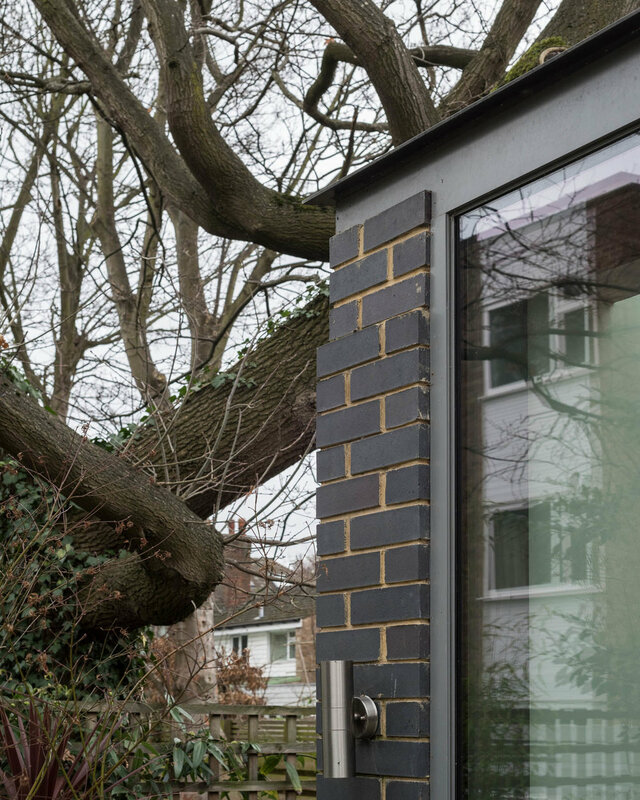 A dark grey engineering brick was chosen to complement the existing house along with large glazed openings to connect the house with the garden.